Posted on Wed, Jan 18, 2012 : 5:58 a.m. The University of Michigan is seeking permission to spend $7.5 million updating infrastructure in three out of five of its Northwood apartment complexes on North Campus. The University of Michigan dormitory Baits I will close permanently next year. The request, which will go before the U-M Board of Regents on Thursday, follows a November decision to spend $12 million upgrading fellow North Campus residence Vera Baits II. It also follows the scheduled summer closing of North Campus dormitory Baits I for being uninhabitable. While the Baits II upgrade includes improvements to common areas as well as infrastructure upgrades, the Northwood upgrades will focus solely on system improvements, including the installation of a new fire alarm system and hot water boilers. The three Northwood complexes span 419,000 feet and include 58 buildings that contain 668 units. They were built in the late 1950s. Northwood III was converted to undergraduate housing from graduate housing a few years ago in order to allay a growing on-campus housing crunch at the Ann Arbor school. With two major dorms under renovation next year and the closing of the 575-bed Baits I, the housing crunch at the university has worsened, and the school is converting Northwood I and II to undergraduate housing from graduate family housing for fall 2012. The proposed project brings the five-year North Campus dorm construction total to $22.5 million, while dorm construction and improvements on Central Campus has exceeded $440 million. The Board of Regents will vote on the project at the meeting on Thursday at 3:15 p.m. at the Stephen M. Ross School of Business. Wed, Jan 18, 2012 : 2:35 p.m. Wed, Jan 18, 2012 : 1:12 p.m. Think the dorms are bad? What about the north campus family housing? We recently purchased some used furniture from someone who was moving out of there. The condition of the building was unbelievable. It is right up there with the worst housing situations in Ann Arbor. Certainly the U could consider making necessary improvements or tear them down and start fresh. Simple maintenance would help. Wed, Jan 18, 2012 : 1:06 p.m. These dorms are 50-60 years old and are heavily used, have outdated mechanicals, and outdated safety systems. In this economy, surely now is the best time to stimulate the local work force, leverage competitive bids, and update antiquated facilities ? Wed, Jan 18, 2012 : 11:55 a.m. So is this the 3rd or 4th story about U of M spensing multiple millions on renovating and/or expanding in as many days? And let's see, several recent stories about astronomical raises for U of M staff, hundred upon hundreds of millions on renovating/building/expanding EARLIER than 4 days ago... Wow, that's really too bad about their tuition being completely insane. You know, I graduated from U of M and used to love it, but now it just seems like one of the most wasteful, greedy, ridiculously priced entities on earth. I really think people should consider boycotting it. Not for any humanitarian reason, but just because they're insane and need some kind of check. Wed, Jan 18, 2012 : 12:57 p.m. It's not as if the U is putting in swimming pools and hot tubs. 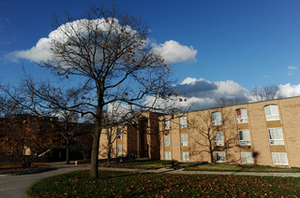 The dorms are heavily used and not well maintained for years. They were/are are in need of repairs to the basic plumbing and electrical systems. They also are being upgraded to compete with the far more expensive private student housing market by making internet access better. Surely you wouldn't want students to live in sub-standard housing. I am with you on the staff pay issue, as long as you realize it's the staff only at the very highest levels who got the huge bucks.